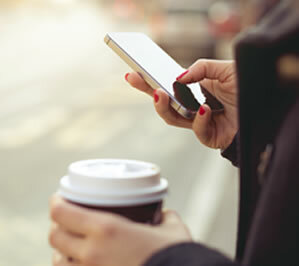 Here at Armstrong Bell, leading specialists in networks and telecommunications, we also offer a series of different business mobile phone plans that are specifically aimed at improving communication for businesses and their teams. Reliable, accessible and fool-proof communication is the key to supporting and improving a thriving business. With a growing company, and therefore an expanding team too, communication strategies are a vital concept to establish and implement into the business – ideally at the early stages. When it comes to making sure your employees are constantly reachable and on hand for any last-minute tasks or meetings, emails just don’t quite cut it anymore. Not only are you relying on servers, which can commonly become jeopardised during busy periods, but you are also relying on the recipient being on their emails at the time of writing – this strategy can pose risks and is definitely not the most reliable form of communication for your team in this developing technological world. If you think your company’s telecommunication strategy needs improving, then our Business Mobile Phone Plans may be the perfect solution for you and your company. Alongside the actual business mobile phone, we can offer a selection of different business mobile phone offers that you can choose from for you and your team. With various monthly plans, which can offer unlimited texts, data and phone calls, alongside a state-of-the-art smart phone, you can be sure that communication within your team, will never be a problem again. The phones we offer to our customers are specifically chosen with business and office strategies in mind. With the ability to install specific apps which can help arrange meetings, record notes, sync emails and much more, you can rest easy knowing your team are easily reachable and contactable at the touch of a button – even when they are not working from their desk. By taking advantage of our knowledge and experience in the industry, you can help improve the communication within your team, whilst receiving excellent deals at extremely competitive prices. If you are interested in finding out more about our business mobile phone deals, call us today on 01527 834850 to speak to a member of our team who will be happy to answer any queries you may have. Alternatively, you can visit Business Mobile for more information.